Deregistered by Togo April 15th 2010. 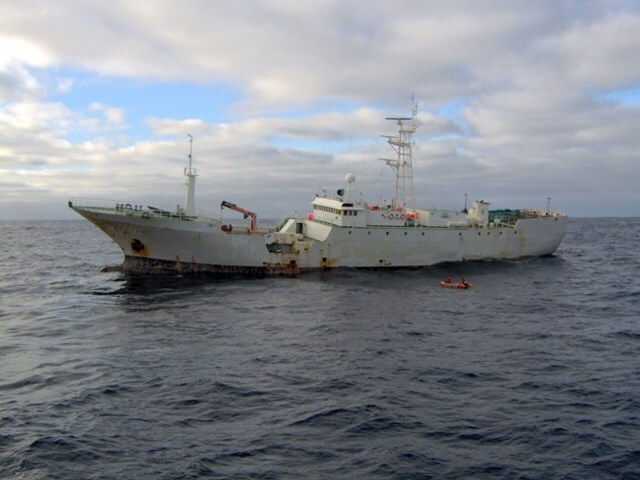 Sighted on 8 November 2011 in waters near Tasmania, sighted again on 27 January 2012 in the Indian Ocean, between Christmas and Cocos Islands. Malaysia tracked and inspected the vessel after receiving notification from RPOA Secretariat. In Singapore 01/03/2012. Changed name and flag (to Octopus-1) at sea 14/06/2012. Fishing in the South Atlantic in September 2012. Sighted with new name Snake and false IMO number, flag Libya, May 31st 2013. An Interpol Purple Notice was issued for this vessel 6 September 2013, updated 8 January 2015. Presented in port October 2013 with name BERBER, Libyan flag, call sign 5AWP and suspected forged registration documents. Sighted Dec 2013 with OCTOPUS-1 and homeport 'Freetown' painted on the hull. Sighted 21 March 2014 in the Malacca Straits, with the name VIKING and homeport Lagos (Nigeria) painted on the hull. The vessel was detained by Malaysia in March 2015 and was charged and fined for offences under the Malaysian Fisheries Act. The vessel was released from custody on 7 April 2015 and departed Malaysia. The vessel was detained and scuttled by Indonesian authorities in March 2016.